"Guess who&apos;s back, back again,"—you know the rest! 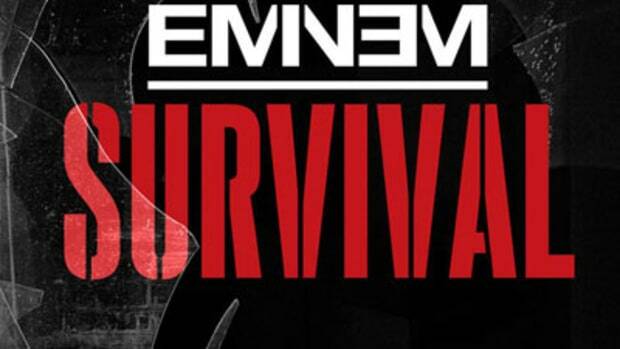 Having stirred fan anticipation to a fever pitch with hit buzz single Crack A Bottle, Eminem steps back into the shoes of his troublemaking alter-ego, Slim Shady, for Relapse&apos;s official first single. In the tradition of celebrity-bashing lead singles My Name Is, The Real Slim Shady, Without Me, and Just Lose It, We Made You sees Slim taking aim at Kim Kardashian, Ellen DeGeneres, Sarah Palin, Jessica Alba, and Amy Winehouse, to name a few (for the full experience, check out the official music video). As Em proves he&apos;s still got his finger on the pulse of popular culture, an uncredited Jessica Simpson impersonator&apos;s hook and Dr. Dre&apos;s lounge-flavored boardwork take the cut&apos;s catchiness to the next level—needless to say, WMY is poised to take radio, MTV, and the charts (Booth and Billboard alike) by storm, and pave the way for Relapse&apos;s arrival on May 19th. Eminem Premieres Video for New Single "We Made You"